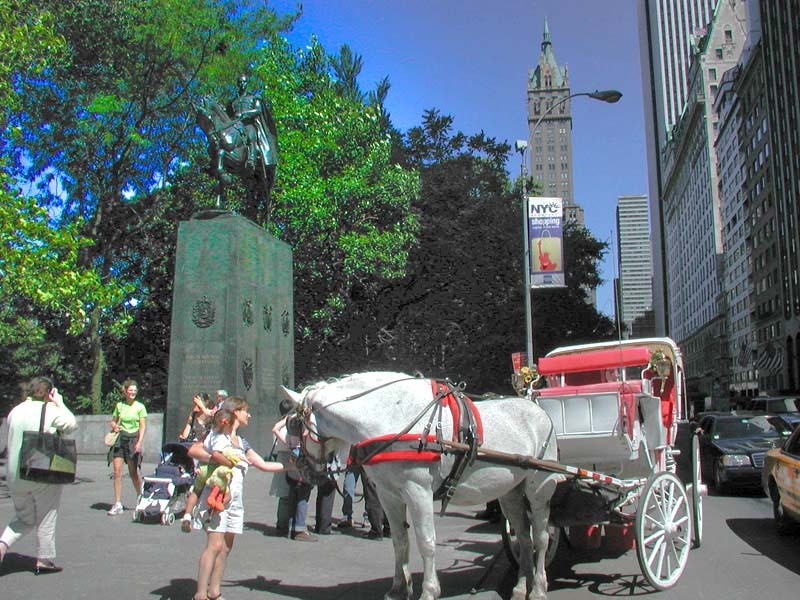 Miami In Focus Photo Gallery of the Simón Bolívar Statue C59 in Central Park. 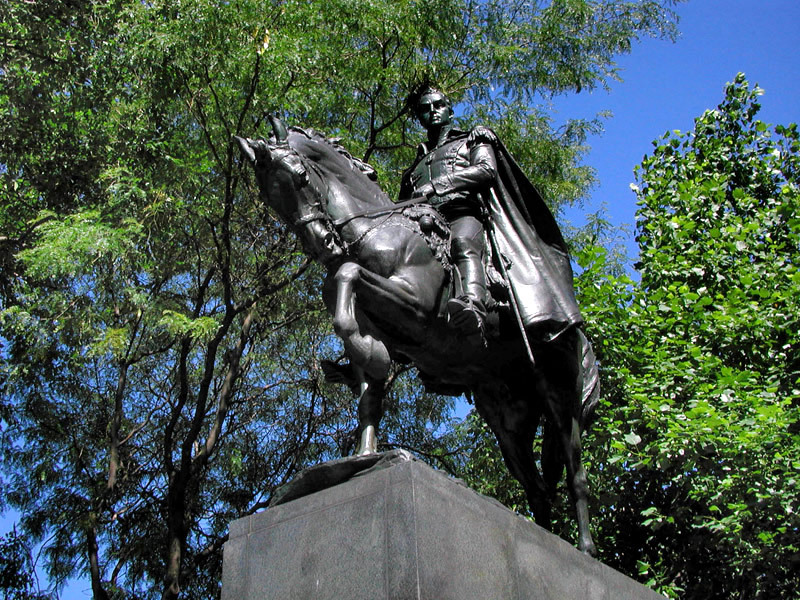 Along Central Park South, is this elevated statue of Simón Bolívar, the South American revolutionary, military leader, and politician. Known as "The Liberator" he is credited with achieving the independence of five countries: Venezuela, Colombia, Ecuador, Peru, and Bolivia. Mounted on his horse while pulling its reins, he appears to stride bravely as his cape flows against the wind.